I am starting this review about OminiBazaar with excitement because I am so happy there is an alternative to centralized marketplaces such as Ebay. Having an decentralized option brings many benefits to both vendors and buyers. It is fair to say that for years I have become a crypto enthusiast, investor and now specialist. But before crypto I was in the realm of e-commerce and one of my first projects was my Ebay store. I started out few years after Ebay launched in 2002 but sadly stopped selling at the site because of diminishing profits. The gradual increase in selling fees made it impossible to make the product attractive to buyers. New regulations did not allow me to showcase my own information in my paid product ads and that prevented me from generating residual traffic to my web site. To know that this monopolized industry of online market places is going to be shaken by decentralization makes me happy. Projects like OminiBazzar give vendors another option that is less expensive and less restrictive. Offering many vendors the chance to open the doors again. I am happily doing so by downloading their Software and selling some of that inventory I kept for a while. 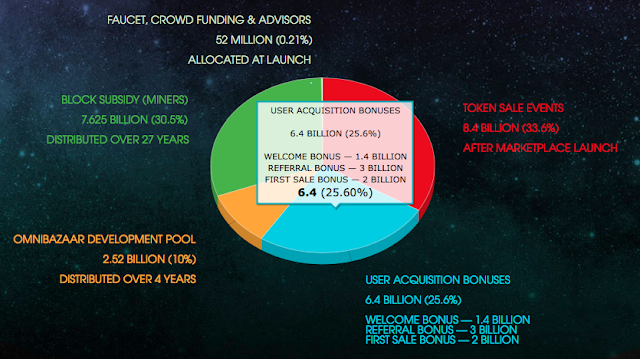 But I am not here to promote my personal little store, I am here to give you a break down evaluation of the OmniBazaar project and help you understand how the Token OmniCoin will be used, its value and qualities. 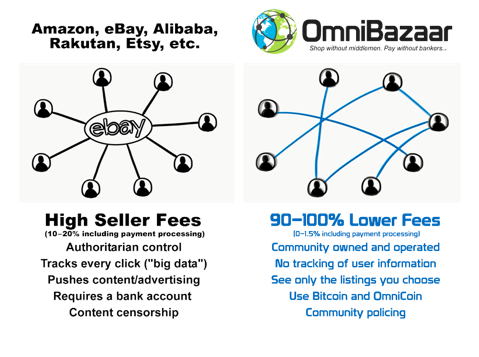 How does the OmniBazaar differ from other online marketplaces such as Amazon and Ebay? 1. True Peer-to-peer Marketplace — Omni Bazaar uses Crypto currencies to eliminate the bank as a middleman. no more high percentage fees paid to PayPal or credit card companies. The software is ready and it already available for download on the OmniBazaar web site for anyone ready to give it a try or would like to purchase some products using cryptocurrency. The OmniCoin is used as a currency to buy and sell products on the OmniBazaar platform. Consisting of 22 members the team offer a range of specialists of different nationalities aiming to launch this project on a global level. Headquarters of this project is in Florida, Unites States and the project is following all the guidelines requested by regulations. The Bountysuite Exclusive OmniCoin Bounty campaign is currently available to participate until quota of Omnicoin tokens is reached. Anyone interested in more information about the OmniBazaar project check out the links below.